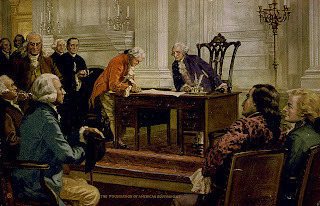 The American Constitution: the 1st Amendment from the Bill of Rights: Congress shall make no law respecting an establishment of religion, or prohibiting the free exercise thereof; or abridging the freedom of speech, or of the press, or of the right of the people peaceably to assemble, and to petition the government for a redress of grievances. Thomas Jefferson said: Believing with you that religion is a matter which lies solely between man and his god, [the people, in the 1st Amendment,] declared that their legislature should make no law respecting an establishment of religion, or prohibiting the free exercise thereof, thus building a wall of separation between church and state. He also said: ... no man shall be compelled to frequent or support any religious worship, place, or ministry whatsoever, nor shall be enforced, restrained, molested, or burthened in his body or goods, nor shall otherwise suffer, on account of his religious opinions or belief; but that all men shall be free to profess, and by argument to maintain, their opinions in matters of religion, and that the same shall in no wise diminish, enlarge, or affect their civil capacities. The original Constitution, Article 6, at the end of the third clause: ....but no religious Test shall ever be required as a Qualification to any Office or public Trust under the United States. 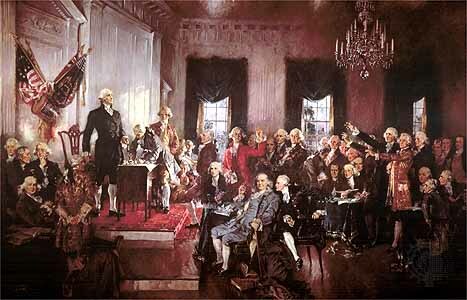 When the Constitution was written, the individual states were writing their constitutions too, and included references to freedom of religion. The men had lots of different takes on the subject. 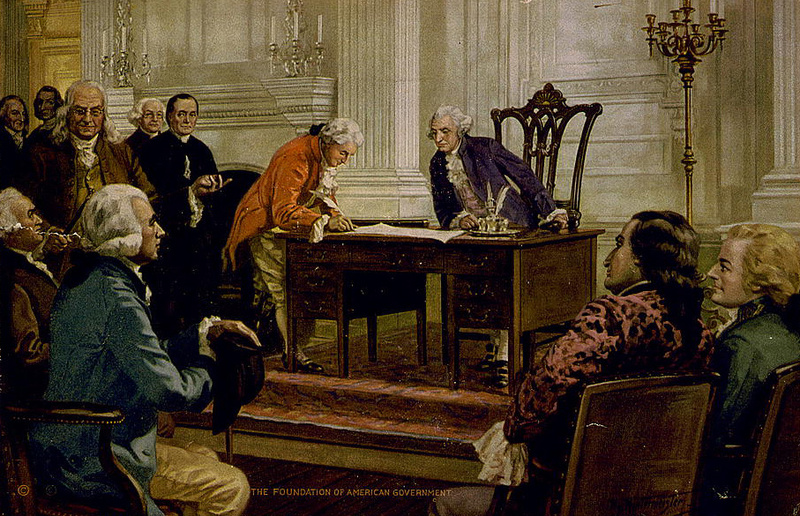 The Declaration of the Independence for the country says: We hold these truths to be self-evident, that all men are created equal, that they are endowed by their Creator with certain unalienable rights, that among these are life, liberty, and the pursuit of happiness. That to secure these rights, governments are instituted among men, deriving their just powers from the consent of the governed.